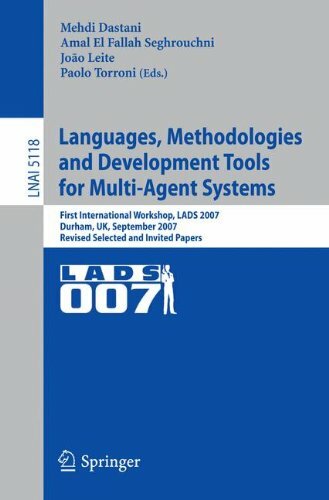 This book constitutes the thoroughly refereed post-workshop proceedings of the First International Workshop on Languages, Methodologies and Development Tools for Multi-Agent Systems, LADS 2007, held in Durham, UK, in September 2007. The workshop was part of MALLOW 2007, a federation of workshops on Multi-Agent Logics, Languages, and Organizations. The 15 revised full papers, presented together with 1 invited paper reporting the aims and achievements of the OpenKnowledge project, were carefully reviewed and selected from 32 submissions. The papers are organized in topical sections on agent reasoning and semantics, declarative languages and technologies, methodologies and design, and development frameworks. View More In Computer Simulation.